Korean Travel Agency in Los Angeles, California. Korean Travel Consultants in Los Angeles CA. SAEHAN Travel & Tours Inc.
Offer the best deal for airline tickets (Korean Air/Delta Airlines (Asia Area Only)/ Singapore Airlines… total 8 airlines). Asian destination special discounted airfare and more. 2717 W Olympic Blvd #203, Los Angeles, CA 90006, United States. Korean Travel Agency in Los Angeles California. U.S. based HanaTour USA is a subsidiary company of HanaTour Group in South Korea. Specializing in tour packages and accommodations as a wholesaler and tour operator. 3053 W Olympic Blvd #101 Los Angeles, CA 90006. Cheap Airline Deals! Take up to $50 off with Promo Code AIR50 Book Now ! 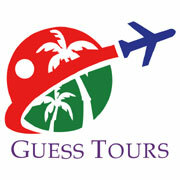 Guess Tours is a 27-year-old American tourist company that started in San Francisco and San Jose, USA. For group or private travel in the United States, please contact using the official Guess Tour Facebook page or official website. 33100 Pacific Hwy S. #8 Federal Way, WA 98003. Offers Air Ticket Sales, Package Group & Incentive Tours, Hotel booking etc. Sunday & Holiday : Closed. Other offices (18 Branches in USA) in Los Angeles, Los Angeles Downtown, Los Angeles Vermont, Fullerton, Irvine, Diamond Bar, San Diego, Irvine HMart, Fullerton Arirang Mart, Valley, Las Vegas, La Crescenta and Cerritos.